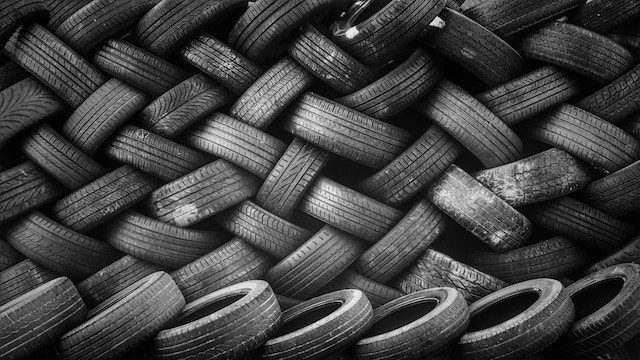 In the 1980s, the number of recycled tires piling up in junkyards and landfills was estimated at around 2 billion, with enormous piles of tires a familiar sight in most cities and small towns. Today, that number has been reduced by over 90% thanks to tire recycling. You don’t get that kind of a reduction simply by just using old tires as swings or as gym equipment. Even today, tire recycling encounters a variety of different challenges due to the sheer durability of the material. Thanks to new technologies and newfound uses for recycled tires, however, we’re using recycled products in more ways than you might have realized. Chances are, you may even be using recycled tire products in your home, and you’re probably driving over them on your way to work. When tires are recycled, chances are they will be turned into fuel for industrial applications. Tires pack more energy than coal and are roughly equivalent to petroleum in terms of output. While turning tires into fuel used to be quite a dirty business back in the day, newer processes have allowed tires to be turned into fuel much more sustainably than was possible in the past. Straight tire chips in different sizes have found a wide variety of uses, from hard-wearing garden mulch, to filters in water treatment plants. Thanks to the combination of durability, flexibility, and low cost, tire chips are seeing new use cases. That new yoga mat and that pair of shoes you’re wearing might even be made partly with tire chips. The sheer versatility of recycled tires is reflected in how they’re used in construction. Whole repurposed tires are often used as safety barriers and vibration dampeners while tire chips are used in most of the country’s asphalt surfaces today. Tire chips are now a vital part of many new construction projects, prized not just for their low price, but for their ability to reduce vibrations and to strengthen different materials when used correctly. They can be used in a variety of areas from roofing and deck materials to advanced vibrational damping for railroads. Ground-up tires are now increasingly common in applications where gravel used to be more commonly used. Tire chips don’t wash away or float off in storms and they can be used to prevent wear and tear of different surfaces. They’re now a popular component of new athletic tracks, as they require less maintenance and are safer to use than either old-school clay and gravel or paved rubber. They are also used in homes throughout the country as an alternative to wood mulch as well. Not only do ground-up tires require less frequent replacement, but they also prevent termites from moving into your property as well. Ranchers have long used old tires as watering troughs for cattle and for general water storage. But companies such as Western Tire Recyclers are taking it one step further by recycling enormous tires used by off-the-road vehicles used for mining and for hauling heavy equipment. What you get is literally a giant bulletproof water storage unit that your grandpa never heard of. ← Becoming a dad is a worthy reason to quit smoking – Did you take the step?